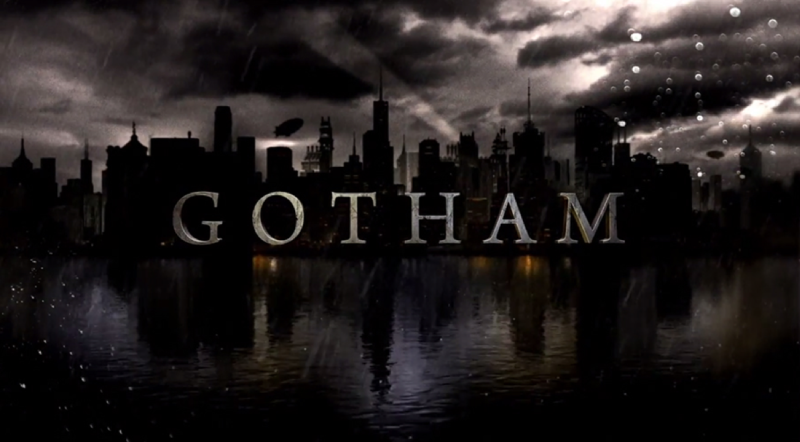 Gotham Season 2 Episode 10 - "Rise of the Villains:Worse Than a Crime"
This is the megathread for Gotham Episode 10“Worse Than A Crime”. Be warned, there will be spoilers beyond this point. Well folks, here we are. We’ve made it through 10 episodes of this insane show and man has it been a wild ride. .
First off lets hit some of the bit items. We get the first reveal of Mr. Freeze in a little scene at the very end of the episode. I call it a fan service moment since there is also a name drop of Dr. Strange in an earlier scene in Indian Hills which is where Galavan’s body ends up. I like the look that the Gotham design team has gone with. It looks enough like the comic book so fans will recognize who it is. On the other hand this character is hard to do in this show because for most people their first thought of Freeze is Arnie in Batman And Robin. So it makes it hard to have him look closer to how he looks in say, Batman: The Animated Series. Overall it’s a good design. The goggles are a little out there, a bit Lady Gaga-ish but the freeze ray looks good. If you want more insight, there is a good interview with actor Nathan Darrow who plays the good Dr. on usatoday.com, which is where I got these pictures from. I also loved the frozen over cityscape on the title card seen in the closing credits previewing the show’s return in February. &apos;House of Cards&apos; alum Nathan Darrow plays the icy new villain. I didn’t think he would kill Galavan. I really didn’t. I figured he would let Penguin beat him a bit to get his payback, then pull Penguin off, take him to Barnes and let Penguin go. So when he pulled that gun and pulled the trigger, I fully accepted that Jim Gordon of the DC Universe was gone. This is not the Jim Gordon of The Killing Joke, who insisted Batman take Joker in the right way, to prove their way works, even after all Joker did to him and his daughter. This is Gotham Jim Gordan, and may God have mercy on our souls. Lee’s “I’m pregnant” sure came out of no where. It really felt like a soap opera moment. I wonder what they will name the little rugrat? Did anyone else think the “I’m pregnant” scene was there just so there was some kind of justifiable reason why Lee didn’t just hop in that car and drive far away and never look back? I mean, yeah I get it, she loves him and all. But I can’t imagine any real woman giving this dude as many chances as she has. She dosen’t need him, they aren’t married and she’s a Dr. so she can rebuild her life elsewhere away from this chaos if she needed to easier than other professions would allow. After i wrote the above I read that Morena Baccarin is pregnant. So that scene could have been to explain her change later on. I still think both can be true, they needed a justification to have Lee stay with Gordan and a set up for Lee’s body changes as her pregnancy develops. Fox finally fixed the hard drive. I guess Bruce made the right call not to take Theo’s offer since the plot device computer is now back in play. Tabathia is stone cold and I love it. It was awesome to see her finally turn on Galavan. I did find it hilarious when she just pushed SIlver out of the window, i have to assume she actually told her how to use the parachute off camera, otherwise she just trusted that the panicked teenager would know how to use a parachute. Riddler and Penguin continue to be awesome roomies. Don’t tell me you aren’t just watching now for those two together. More of that please. So when exactly did Barnes get that warrant? He kept insisting they needed proof of Galavan’s misdeeds before they could get the warrant. Then Fox comes and tells him he knows where Jim is and what they are planning. Ok, so Barnes then goes to Galavan’s building after all the madness has gone down, just in time to find Jim holding a gun to Galavan’s head. He says he has a warrant, but other than what Fox told him and what Alfred had seen earlier, no real proof Galavan was involved in Bruce’s disappearance. He wasn’t even convinced Bruce had been taken. So then he pulls out a warrant, but a warrant based on what evidence? He sees the remiains of the ritual and all that but he didn’t know any of that was going down until he got there. Maybe i need to re-watch but the timeline seems odd, especcially for a guy yelling all show about needing proof and warrants. I know a lot has been made of Bruce not being angry enough or determined enough to be Batman. I think that’s unfair. This kid has been through so much in such a short amount of time, and for the moment it seemed like he accepted his fate and was prepared to see his parents again. I think that’s going to be an important moment for the character down the line. And as Comic Book Rescoures said in their recap, he dosen’t go down quietly.“Prepare yourself, boy,” he says to Bruce. “You’re a deluded old fool, and you’ll pay for this,” Bruce says back. There’s some of that pre-Batman fire! This would have been a great episode for Harvey, with all the warrant talk. Barnes is the new Jim Gordan. Does that mean Jim Gordon is the new Batman? Lee hushing Penguin was great. So now Lee and Gordon are getting married. I have to give those monks credit, they had conviction enough to face a group of armed cops and gangsters with knives. Harvey’s showing up right at the end to take out the head monk was great. Gordon and Penguin work together to stop Galavan and the Order&apos;s evil plans. We’ve come to the winter finale of Gotham season 2, and to put it lightly, I’m confused. Is anyone else confused? After episode upon episode of build-up regarding Theo Galavan’s plan for revenge against the Wayne family and Gotham City, alongside the Order of St. Dumas, I incorrectly assumed his fall would not be quite as abrupt. Instead of an epic showdown, we get a rushed fight scene, Galavan’s death, and a somewhat happy ending (for now) for Gordon, despite succumbing to so much violence at this midway point to the season. “Worse Than a Crime” leaves viewers with some loose ends (as well as teases for both Hugo Strange and Mr. Freeze) but no real direction in where the story might go next. Since the start of Season 2, Fox’s Dark Knight drama “Gotham” has been carrying the tagline “Rise of the Villains” with varying degrees of accuracy. Though the season started out with the seeming birth of new foes including a proto Joker and an insane Barbara Keane. But from there, the show has focused on a slow boil battle amongst the show’s various outlandish mobsters. As the fall finale – the titillatingly titled “Worse Than A Crime” – arrived on air tonight, that war came to a head in a rushed episode that asks viewers just how much the grip of evil has on the city’s heroes. Tonight’s mid-season finale has very little of last week’s fitful inspiration. Even the all-out brawl between Brother Creel’s evil monks and Penguin’s gun-toting hoods feels rushed and uninspired. It’s dopey to see Creel launch into mid-air, then be dispatched by Harvey Bullock. But it could have been dopey and fun if Bullock’s one-liner — “That was a lot of stairs” — wasn’t such a dud. The scene reminds me of Tabitha Galavan’s admonishment to brother Theo at the beginning of the episode: “Yes, it’s all yours. Smile, for God’s sake.” The show’s major characters are poised for a big showdown with the Galavans, but series creator Bruno Heller can’t seem to translate that bombast into a fun time. We’ll get Rob’s recap on the main page later today. I will be doing a mid-season recap next week. Please dicusss in the comment section and have a great day.